Four college students who like to talk hockey are taking their shot at a podcast. Listen to hear Becca, Kailynn, Kellen and Evan talk predictions, hot takes, and anything else eating them. It all happens After the Whistle. Music for Podcasts courtesy of Lee Rosevere. Whistle sound effect courtesy of Daniel Simon. We literally talk about hockey for maybe three minutes. Are we even a hockey podcast anymore? Who are we? Help. Kellen learns that the earth is, in fact, not the centre of the solar system, and oh yeah there's some hockey talk too. But, mostly the Kellen thing. Playoff predictions, favourite chirps, and underrated Jonas Brothers. Jets Hall of Fame additions, big trades and... the crusades? We trade the Jets, debate what's "bush league," and try not to talk about the Super Bowl. The Oilers are a mess, Gritty is an All Star, and we learn how to measure horses. Obscure kitchen utensils, Brossoit vs Hellebuyck, and Becca almost walks out. All Star Game pros and cons, surprising player actions, and Becca's never dying love for the Canucks. World Juniors success and disappointment, our love–hate relationship with the All Star Game, and our much anticipated Heritage Classic road trip. It's the most festive episode of the year! We change our names, discuss Christmas movies and traditions, and the most anticipated part of the holiday season: World Juniors. NHL realignment and future Seattle franchise name predictions. The World Cup of Hockey is eating Evan and it's almost time for "World" Juniors. The squad accidentally forgets about Becca, the Sabres are no longer forgettable, and we continue to remind each other about the "swearing penalty." Everyone agrees that quokkas are cute. Holiday hockey games, cellys, and Vesalainen's return to the KHL. Kellen tries to explain American Thanksgiving traditions and Evan just wants to eat cake. Hot takes on top goalies, bottom teams, and fantasy players we could bare to part with. Hot takes on the Ottawa Senators' Uber situation, NHL coaching changes, and players with surprising stats. The Global Series in Finland between the Panthers and Jets, Evander Kane's recent headlines, and fake Grittys. And of course, we address the most pressing question: "Who's the daddy?" Wilson's upheld suspension, Calgary and St. Louis's "blues," and Evan raves about mascot struggles. Everyone is awestruck by Crosby. Hot takes on the teams with hot starts, and "what is a penalty" debates. Becca gives us the latest Gritty news and Kellen talks about frickles. Fantasy team steals and regrets and which teams are gearing up to have successful seasons. We also debate our favourite NHL beards, and of course there's a Gritty update. 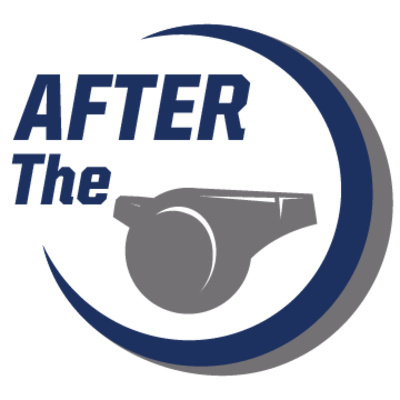 After The Whistle is hosted by four college students who like to talk hockey and are taking their shot at a podcast. Listen to hear Becca, Kailynn, Kellen and Evan talk predictions, opinions and hot takes. It all happens After The Whistle. In our first episode we discuss season predictions, third jerseys, mascots, and potential lockouts. Music courtesy of Lee Rosevere. Sound effects courtesy of Daniel Simon.